We all know beer is great! If you want to enjoy it even more though, you need to have the right glass for the right beer. 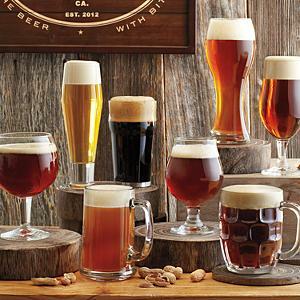 The 8 Piece Beer Tasting Glass Set will unlock the rich flavors and aromas of different craft beers. Whether you enjoy lager, porter, stout, or another beer (or all of the above), there’s a glass in here that will enhance your favorite beer a bit a more.